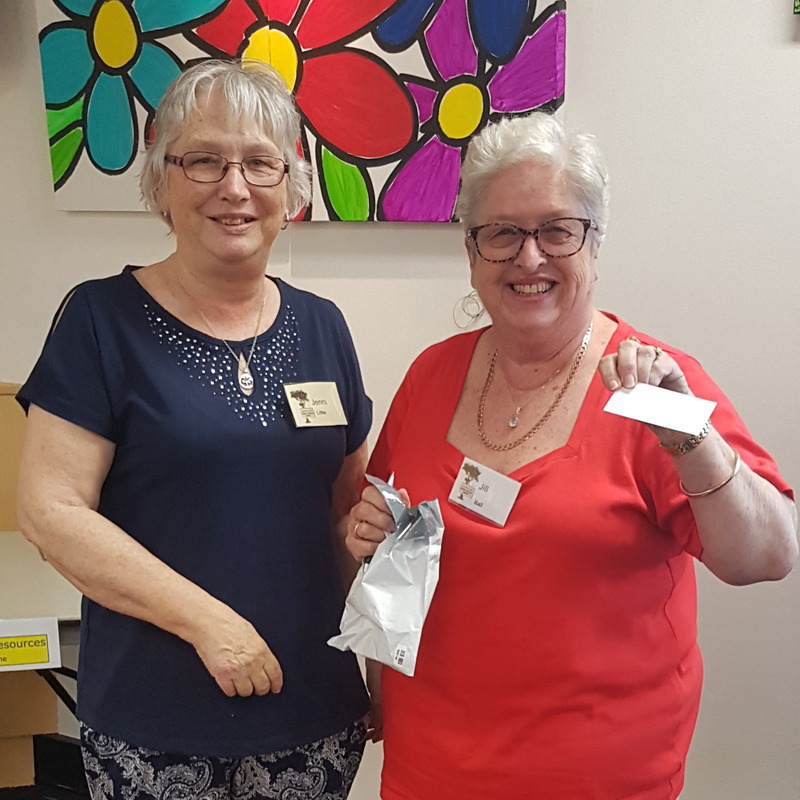 I am thrilled to announce that geneablogger Lisa Gorrell from California, USA, is the winner of my Rootstech Pass Giveaway that was drawn on Wednesday in front of members at the monthly meeting of the Hornsby Shire Family History Group. Hornsby member, Jenni (Left), drew Lisa's name out of the envelope. Thanks to all those who entered my competition by telling me three things a Rootstech attendee needs to take to Rootstech to enhance his/her experience. Largest enough suitcase to bring back all the goodies you'll find in the exhibit hall. In the coming days I will compile a list of all the entrants suggestions that may assist those who are coming to Rootstech 2017. I look forward to meeting Lisa in the flesh at Rootstech. Congratulations to Lisa, and wise advice for Conference attendees! Thank you very much. I'm excited to go for my first time! Looking forward to meeting up with some of my fellow panellists on the GenDoc study group at RootsTech. The makes number 3. Congratulations to Lisa. I am so glad she could join Sheri and Dave as a winner. Jill I will have to get you take a photo of the panellists at RootsTech.